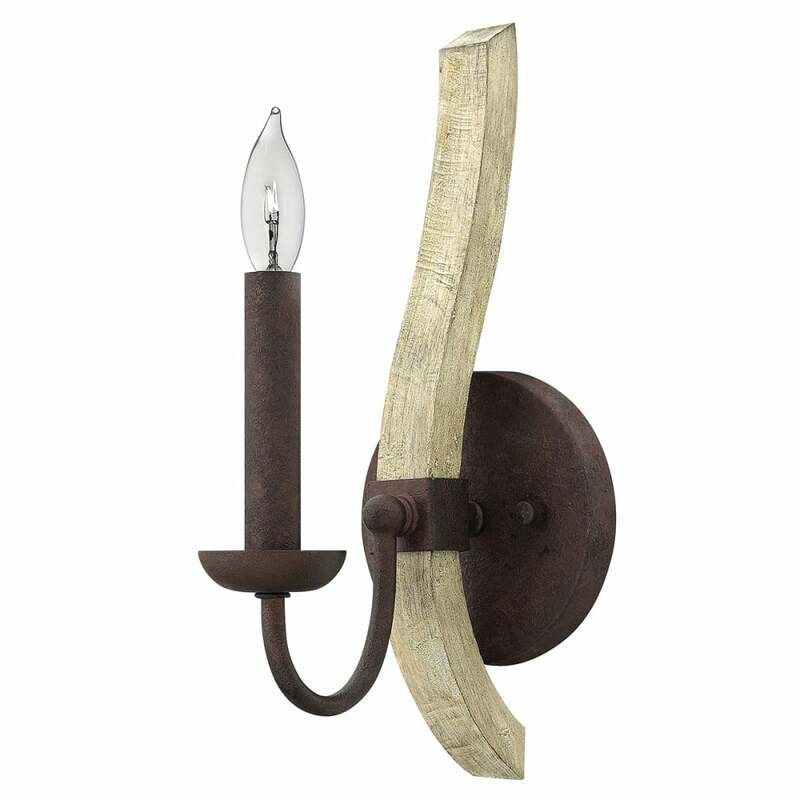 Torch-like and traditional, the Middlefield wall light is finished in nostalgic Iron Rust and distressed wood. The heritage glass candle shade and sconce add historic interest. Perfectly imparts an air of rustic chic style to a range of design schemes. Matching ceiling pendant and chandelier styles available.